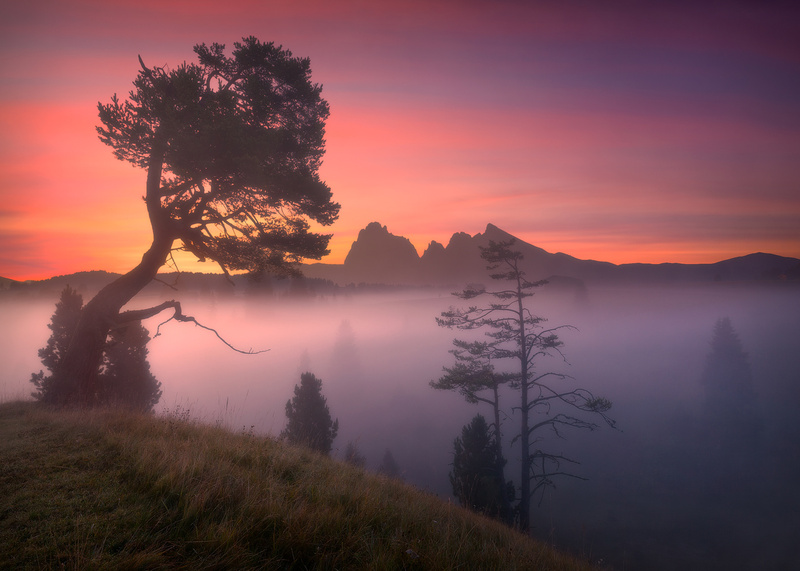 Alpe di Siusi/Seiser Alm at dawn - Dolomites, Italy. From journey (photographic expedition) through the Dolomite mountain range, September 2016. Great Work! Really nice perspective! of this Location and mountain range.